"Like all great investments, it requires patience. We've said from day one, we'd be happy if we realized we were right after two years. We're about eight or nine months into that… we're just going to keep buying for the next four or five months and hopefully we'll get 10 percent of the company." Lemelson Capital has allocated a significant amount of capital to shares of a small, relatively obscure Houston-based manufacturer of seismic equipment used in the exploration and production industry in the midst of a massive decline in the price of oil and gas. While both the 2014 annual report as well as the 1H 2015 interim report include some of the reasons behind the significant commitment in Geospace Technologies (NASDAQ:GEOS), a few additional explanations are provided below. Geospace Technologies is a great business run by honest and capable management that has been negatively impacted in the near term by the collapse in the price of oil. However, the underlying business, its technology and management remain completely intact and poised for significant future growth. In 2015, the Fund increased its stake in Geospace Technologies from 352,770 at YE 2014 to 787,646 shares at YE 2015, an increase of 434,876 shares, or 123 percent as the price of the shares, alongside the price of oil, slid. On December 31, 2015, shares of Geospace Technologies closed at $14.07 per share. Tangible book value at the company's FYE 2015 was $22.02. Had the market priced Geospace at just the value of the firm's tangible assets (an extremely conservative measure) on December 31, 2015, the market value of the Fund's stake would have been $17,343,964. In January 2016, management (Lemelson Capital) sold 70,454 shares of Geospace Technologies and realized a gain of $157,106. As of the writing of this letter, management (Lemelson Capital) has spent $3,009,971 to purchase an additional 318,501 of Geospace Technologies stock at an average price per share of $9.45, or less than half of the firm's tangible book value, bringing the total shares owned to 1,035,593, or 7.8 percent of the company's outstanding shares. Should the price remain depressed, management (Lemelson Capital) will continue buying. Valuing a business is never an exact science; however, with a sufficient margin of safety, approximate appraisals are typically sufficient for making wise capital allocation decisions. There have been few panics in commodities markets more severe than the one in the price of oil that has taken place between mid-2014 and the present. This has given rise to the tremendous buying opportunity in shares of Geospace Technologies. It is fair to value different kinds of investments in different ways. 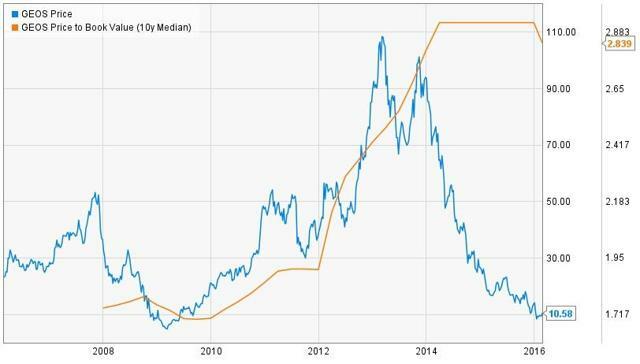 For example, a technology company that has a wide moat around its business and is still growing, such as Apple (NASDAQ:AAPL), could be valued by calculating the price to earnings growth rate over the last five years. It can be argued that a fair price to earnings (PE) value for a growth company equals its growth rate, (PEG=1). Apple's five-year earnings before interest, taxes, depreciation and amortization (EBITDA) growth rate is just over 32 percent and Apple's EPS over the last 12 months (TTM), ended December 31, 2015, is $9.42. If in the interest of being conservative, the five-year EBIDTA growth rate is lowered to 25 percent, then PEG (1) * five-year EBITDA growth rate (25) * EPS ($9.42) = $235. There are many ways to value a growth company including using discounted cash flow models. On this basis, if 20 percent future growth is assumed and the company's tangible book value is included in the mix, a reasonable estimate of the value of Apple's future cash flow might place the stock price at $289 per share. The idea that Apple's stock should price between $235 and $289 is not radical. If the average price is $262 and the price as of the writing of this report is $96.91, then it is implied that there is a potential of roughly 170 percent further return should the shares eventually be priced more fairly by the market. With such a large potential further return, it is legitimate to ask why management (Lemelson Capital) would sell any shares in Apple at all. The answer lies in how a special situation investment such as Geospace Technologies is appraised and where the greater margin of safety lies. Geospace Technologies can and should be appraised differently than a large technology company given the inconsistency in the firm's earnings over the years which, for the most part, has been more or less tied to the price of oil. Geospace Technologies shares were purchased, in part, as a distressed asset, a true deep value commitment, which has long been Lemelson Capital's preferred modus operandi. Geospace has never had particularly consistent earnings (or cash flow) from year to year, so historical measures of PE ratios don't seem appropriate. In fact, the historical price of the shares has been extremely volatile over the last decade just as the price of the underlying commodity (NYSEARCA:OIL) has been. 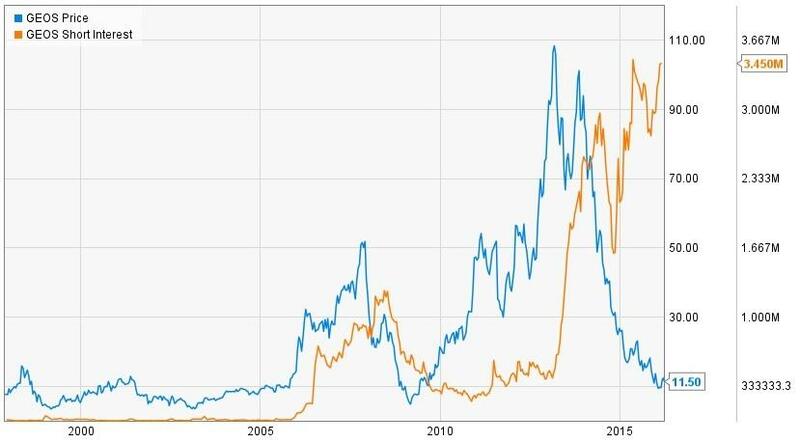 For example, during the last decline in the price of oil during the Great Recession, Geospace Technologies' stock price fell to just $4.88 on February 23, 2009, representing at that time a price-to-book ratio of just .50 (the company had $9.80 in book value at the time and $0.11 in earnings per share (EPS)). Just four years later, on March 11, 2013, the shares closed at $110.88, an increase in price of almost 23-fold and a price-to-book value of $5.95. By that time, book value had risen to $18.63 and quarterly earnings per share had risen to $1.70. In the fiscal year ending September 28, 2013, Geospace Technologies earned no less than $5.38 per share, or almost $70 million in net income. In addition to the $36.9 million in cash and cash equivalents the company has on hand, it will also be receiving a $19.2 million tax refund before the end of CQ1 2016 and was awarded roughly $17.1 million rental contract late in 2015, which will ship in CQ1 2016. This means that by the end of CQ1, the company will have roughly $80.3 million in cash and receivables, or roughly $6.17 per share. On January 19, 2016, shares of Geospace closed at $8.40 per share, or $2.23 net of cash and receivables. The market capitalization stood at $109.4 million. Since the company had roughly 13.02 million shares outstanding at CYE 2015, the market valued the remainder of the company's non-cash and receivable assets at about $29 million. Tangible book value per share as of CYE 2015 was $21.08. Once the $80.3 million cash and receivables amount above is backed out of this figure, there remains $14.91 in tangible book value per share, that is to say a buyer at close of market on January 19, 2016, paid effectively $2.23 per share net of cash and receivables and received in exchange $14.91 in tangible assets net of depletion - paying just 14.9 cents on the dollar for the company's fully depleted and wholly tangible assets. A buyer at that price received $12.68 in (tangible) value totally for free (in a company likely to be cash flow positive in FY 2016, and that management (Lemelson Capital) believes is very likely to generate free cash flow well into the foreseeable future). Stated another way, the buyer on January 19, 2016, paid roughly $29 million for $194,196 million in assets net of cash and receivables, receiving $165 million in tangible assets at no cost. The company has no long-term debt and an untapped $30 million line of credit in addition to its roughly $80.3 million in cash and receivables outlined above. The company has roughly $97 million in non-current assets as outlined below. In other words, the net purchase price of $29 million on January 19, 2016, was approximately $61.8 million (68 percent) less than just the value of the company's rental fleet and property plant and equipment alone, and $91 million (or roughly 75 percent) less than the value of the inventory (net of depreciation) on the current assets entry of its balance sheet. Management (Lemelson Capital) believes the company's property plant and equipment are likely understated by the value of the real estate, which is recorded at cost. Impairments to inventories are also likely overstated since a substantial part of the inventory is either in raw materials or partial assemblies and sub-assemblies and has not, management believes, (aside from the technicalities of GAAP), diminished in value. The long-term result of these write-downs is an understatement of the assets of the company and likely a future increase to its margins. In the company's fiscal-year 2015, the firm would report a net loss on the statement of operations of roughly $32.6 million, by far the largest loss in its history. This figure, of course, is what most observers clung to, overlooking the fact that the actual cash used in operating activities was just $11.3 million with the bulk of the delta attributable to what is likely overly-aggressive (and non-cash) depreciation and amortization expense related to the company's inventory and rental fleet. On January 11, 2015, the company announced, it would reduce operating expenses by a further $7 million on an annualized basis. The company will be receiving, as outlined above, a $19.4 million tax refund in CQ1 2016 (almost twice the amount of the cash deficit in FY 2015) as well as receipts on the $17.2 million rental contract announced late in 2015. Taken with the operating expense reductions and despite the continued and severe downturn in the price of oil, management (Lemelson Capital) believes it is likely that debt-free Geospace will be cash flow positive in the company's 2016 fiscal year. Between the periods of FY 2006 to 2010 and the FY 2011 to 2015, Geospace Technologies increased its average revenue per year by roughly $77.8 million, or ~65 percent overall, which equates to 10.9 percent per year when considered in five-year cycles. Furthermore, as illustrated above, the company has had positive annual cash flow from operations in each of the six five-year cycles. Given the extraordinary volatility in revenues and earnings from year to year, it is a more sound approach to focus on the tangible assets buttressing the share price as consideration for the margin of safety in the commitment, which represents assets that from time to time will be under-utilized, particularly during downturns in commodity prices, but that nonetheless are likely to remain highly productive, and cash generative long into the future as is illustrated by the longer-term analysis of the company's trends when taken in five-year cycles. To this end, over the last 10 years, Geospace Technologies' median price-to-book value has been 2.836. That is to say, the premium the market has typically placed on the firm's equity and which management (Lemelson Capital) believes the stock price is likely to revert to within the next four years is roughly 2.8 times its tangible book. In fact, the delta between the current price and the median has never been greater. If management (Lemelson Capital) is correct, and the company resumes receipt of contracts for its products and the price of the shares revert to the median price-to-book value that the market has historically valued the shares at over the last 10 years, then the price of the shares would rise to roughly $62.44 per share, and the Fund's current stake would rise to $64,662,427 (if management/Lemelson Capital doesn't keep buying), or an increase in stock price of roughly 5.9-fold (roughly 590 percent). Although significant, this would remain a fraction of the 23-fold increase seen in the stock price after the last recovery, but far greater nonetheless than the expected increase in value in shares of Apple as outlined above and which management sold in order to fund the additional purchase of shares of Geospace Technologies. Given this, management felt the opportunity to reallocate capital from Apple to Geospace was an extraordinary opportunity late in 2015 and into early 2016, and perhaps the greatest opportunity the Fund has had to both protect principal and earn an above-average rate of return on the partnership's capital. Management (Lemelson Capital) has no way of knowing with certainty that the share price will revert to the one-year median price-to-book value, or when such an event might actually occur (four years is somewhat of an arbitrary figure). However, what management (Lemelson Capital) does know for certain is that the margin of safety at current prices (which is significantly below tangible book, and net current assets values) is, given sufficient patience, an extraordinary opportunity. As of February 29, 2016, the company had 36.77 percent of its float sold short, the highest on record. The dramatic increase in short interest has coincided with the decline in share price over the last few years. Perhaps surprisingly, the short interest has continued to increase even as the share price declined. This means that there are guaranteed future buyers for approximately 37 percent of the float as of February 29, 2016. Management (Lemelson Capital) believes that demand for oil, which seems to be ever growing, will ultimately exceed the nominal oversupply, which has dominated headlines for the last 18 months. For example, in 2016, U.S. shale and Canadian oil sands (some of the least economic barrels to produce) production may begin to fall more quickly than expected. The one to two million barrels per day (roughly one to two percent) the market has been oversupplied is not as severe a problem as the financial media would have the investing public believe. Further, the UK, Brazil, Canada and the U.S. all have production costs above $36 per barrel with the UK at $52.50 and Brazil at $48.80, all well above the recent price of West Texas Intermediate (WTI). Further, there are other figures, which don't seem to add up. If there was a Cap-Ex party fueled by easy credit and cheap money during the shale boom through mid-2014, it certainly did not result in an output jackpot (at least on a relative basis) as non-OPEC production rose just 1.49 million barrels per day between 2014 and 2015 and largely tracked world consumption through the first part of 2014. If the huge sums spent during the U.S. shale boom did not result in significant increases in production (and certainly not a significant increase over what has been growing consumption), then it appears that a very large sum of capital has been necessary simply to sustain modest growth in output (and until mid-2014, just meet growing consumption), and it follows that in the absence of large outlays of capital, U.S. output is likely to contract rapidly. In other words, if E&P spending roughly tripled over the last decade, but the U.S. output rose just over 15 percent at its peak (about 1.2 m/bpd) in the last three years, there's eventually going to be a significant supply deficit with CapEx having now contracted relentlessly and consumption growth in 2016 estimated at about equal to the peak output increase in U.S. field production in 2014. It may not be rational to conclude that massive sums can be cut out of CapEx budgets and production will remain stable. Exploration and production activities cannot remain muted indefinitely, particularly when several oil majors are replacing only a fraction of what they are presently shipping. 1. The market at the time was significantly oversupplied while consumption was falling (consumption fell roughly 13 percent from 1979 to 1981 alone). 2. The world's population and associated demand have grown dramatically since then. 3. The supply of dollars, which is the currency used to buy and sell barrels of oil, has increased dramatically. Additionally, the repeated reference in financial media to inventory builds exceeding those of the early 1930s are inaccurate given the radically different state of both the global population and economy and the absence of a global depression, which existed in the early 1930s. 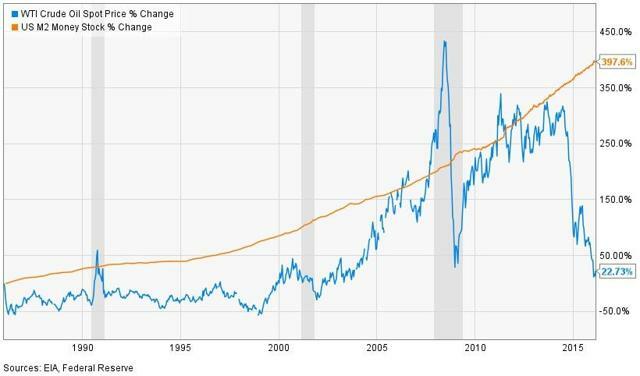 To illustrate this point, since November 20, 1985, the price of WTI has risen roughly 22.7 percent while M2 money supply has increased over 397.6 percent. In other words, today's oil, when adjusted for the devaluation in the dollar, is very cheap. On January 2, 1986, a barrel of WTI traded for $25.56 a barrel. On January 19, 2016, the same barrel of oil traded for $28.47 per barrel. However, according to the U.S. Bureau of Labor Statistics (BLS), $25.56 in 1986 dollars is equivalent to $55.25 in 2016 dollars, so for oil to trade at $28.47 per barrel in 2016 is really the equivalent of $13.17 per barrel in 1986 dollars. Adjusted for inflation, oil on January 19, 2016, was 48.5 percent cheaper than it was three decades earlier in 1986. From a strategic and technological perspective, Geospace is a clear leader in its industry segment. It also is essentially the only manufacturer in its segment that is not in direct competition with its customers. One of the chief drivers of future growth is very likely to be the company's permanent well monitoring technology (PRM), which was first introduced in 2003. Seismic receivers installed permanently on the seabed significantly reduce the cost of repeat seismic studies and provide better image quality through higher repeatability and increased detectability and in so doing mitigate output issues associated with aging wells. The company estimates that there may be as many as 200 wells (based on the life and age of the fields) that would benefit from permanent well monitoring. If an average price of $50 million per system is used, then a total addressable market might be estimated at roughly $10 billion. There have been only nine PRM systems installed globally since 2003, with seven of those being installed by Geospace Technologies. The science has been roughly 25 years in the making and is irrefutable while the return on investment and technological benefits are widely accepted within the industry. 1. Geospace Technologies' share price will revert to approximately the median price-to-book value the shares have commanded over the last 10 years as the company receives new contracts and the business cycle normalizes. 2. The margin of safety in the commitment is significant and lends itself to patience during the current commodity downturn. 3. Demand growth for oil and gas will continue for the foreseeable future, likely aided in part by low prices. 4. High cost, uneconomic production, such as that associated with the U.S. shale boom, will likely fall at a faster rate than anticipated. 5. 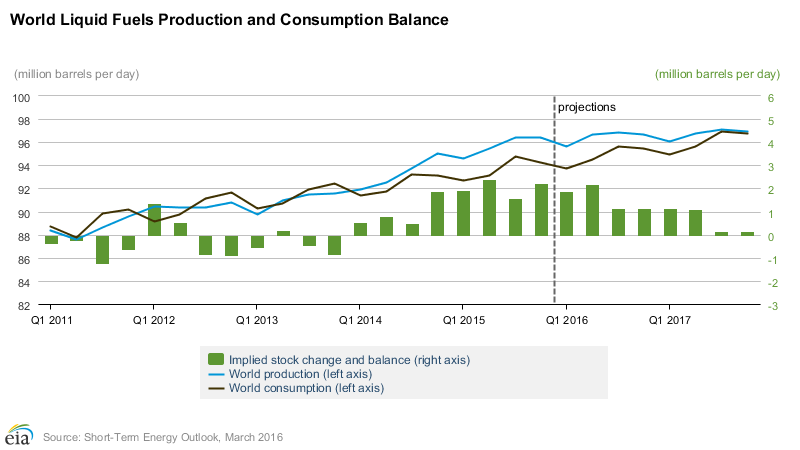 As supply and demand come back into balance, oil prices will recover and with it, spending on exploration and production. 6. Seismic studies will continue to be critical to stable energy markets in general. 7. The science of permanent well monitoring (PRM systems) that Geospace Technologies is a clear industry leader in will continue to enhance return on investment on existing wells and infrastructure. 8. The collapse in oil prices over the last 18 months will likely prove to be one of the truly great investment opportunities of this decade. At certain points in January and February of 2016, management was able to buy shares in Geospace Technologies for a small fraction of the company's tangible net worth while maintaining a conviction that it is likely to be cash flow positive in 2016. The convergence of these dynamics created an unusually large margin of safety. The company, which is an undisputed technological leader in its field, has no debt, a long operating history, an honest and capable management team and is likely to be cash flow positive well into the future regardless of whether or not a recovery takes place in the price of oil in 2016. Management (Lemelson Capital) believes that the unusually large commitment in the shares of Geospace Technologies, while seemingly imperfectly timed in the near term and surely out of kilter with the market at large, will ultimately prove to be approximately right in the long term and in the end produce a favorable investment result. As has been said, "When it's raining gold, reach for a bucket, not a thimble." Management believes the company's impairment of assets, particularly inventory, is overly aggressive (albeit in compliance with GAAP) and thus are understated on the balance sheet. For example, in 2015 the company had ~$19.5 million in depreciation and amortization expense and ~$3.9 million in inventory obsolescence expense. The depreciation associated with the company's rental equipment and inventory is likely overstated since the equipment and inventory itself does not become obsolete at nearly the pace the write-downs would imply. In 2015, rental equipment depreciation alone was $13.9 M.
 Shares purchased late in 2015 were sold on a Last In First Out (LIFO) basis in order to realize the gain. Management sees no reason to discount the receivables in this case since the company's bad debt expense has long-been nominal and the company has already made adequate allowances. For example, in fiscal year 2015 the company recorded $2.1 million in bad debt expense. This calculation includes the receivable for the ~$17.1 million rental contract scheduled to ship at the end of CQ1. Management believes this depletion is overstated. While the company may be cash flow positive overall in FY 2016, it has and may again run deficits on any given quarter within the year. For example, the company ran a cash deficit of $2.3 million in the first fiscal quarter of 2015. The "inventory" is not, for example, a highly depreciable asset, such as mobile phones. The increased utilization will off-set the high depreciation and amortization associated with the company's rental inventory. The data is compiled from cash flow figures obtained in the company's Form 10-Ks filed with the SEC. It also seems evident that production is likely to naturally decline, as wells age, in major non-OPEC producing countries such as Russia while at the same time it is unclear whether Iran will truly be able to increase output as fast as it'd like. Light, sweet crude oil is commonly referred to as "oil" in the Western world. WTI is the underlying commodity of the New York Mercantile Exchange's oil futures contracts. OPEC Production rose just 940,000 barrels per day during the same time frame. The "majors" are a group of multinational oil companies that are given this moniker due to their size, age or market position. By some estimates, there are as many as 200 wells globally that would benefit from installation of permanent well monitoring. Disclosure: Lemelson Capital is long GEOS, AAPL. Additional disclosure: The Amvona Fund, LP has increased its stake in GEOS to 1,050,000 shares.